JackDole, how did you get the labels for nebula to work so far away? And how did you display the type aswell? Damn I don't know why I didn't even think of using a small galaxy and just count ! Using the SMC was a smart idea. how did you get the labels for nebula to work so far away? And how did you display the type aswell? Hey, I just tried the game for the first time, yesterday, and found it absolutely enthralling. I've already put myriad hours into it. However, there are several things I have questions about. Like, what's the difference between the two temperature/pressure values? Is the larger one the average, and the smaller one (in this instance) the value for the particular location I'm in? If so, why does the larger value change so much over time? And, why do the smaller pressure and temperature values not ever seem to approach the larger ones to their left? I was on a rather earth-like planet, and the left temperature ranged from "45-85 degrees Celsius", while the one on the right varied wildly, from -15-30 degrees Celsius. The right-more pressure value was usually at 2.5, with the left one at 6.5.
the first values (left) are the values at sea level. The second values (right) are the values in the height at which you find yourself. At an altitude of 10 kilometers, for example, the air is thinner and it is colder. the first values (left) are the values at sea level.The second values (right) are the values in the height at which you find yourself.At an altitude of 10 kilometers, for example, the air is thinner and it is colder. In SE version 0.9.7.4 I can see the mountains, low depressions and channels on Earth, Mars and Venus, and roll over them easy. But in SE version 0.9.8.0 those same features become nearly blurry, flat featureless plains. Not even ice hills can be seen on Pluto and Titan. How soon can the Solar System objects be made procedural? Solar system textures are equal in 0.974 and 0.980. Unless you are used hi-res addons in 0.974, but not in 0.980. I've searched for any questions about inclined orbits and have found almost nothing, so I'll try asking here. I'd like to be able to land on a moon of a ringed planet and get a view of the planet and rings at a slight incline the way Saturn is seen from some of its moons in those old classic Chesley Bonestell space art paintings. But with every world I've visited the moons seem to orbit *exactly* in the plane of the ecliptic of its parent planet. 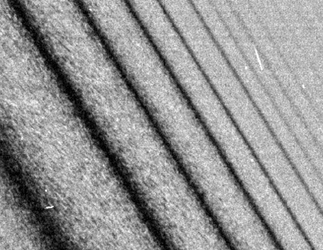 Rings are always edge on and next to invisible (as seen from the surface of a moon). Have I just been unlucky? Or does Space Engine not feature much in the way of inclined orbits? From an artistic standpoint I think inclined orbits would be vital. However, gas giants tend to have a lot of outer moons with irregular orbits, both in reality and SE. Since these are a lot farther away, their planet presents only a small disk in the sky, but they do often get to see the rings thanks to their inclined orbits. So these are your best shot. I fear apenpaap has a point, and Bonestell masterpieces are not influenced by gravitational forces all the time. That said, for the sake of recreating a "Bonestell style" screenshot, it's easier to find a planet with a nice group of mountains orbiting near a ringed giant, and tweak orbital parameters on the fly with Shift-F2, like inclination and semimajor axis, to achieve the desired effect. OK, mountains too can be tweaked. Excellent! Thanks, apenpaap and Mosfet. I've probably been too close in to the parent worlds trying to make them look as big as possible. I'll try moons a little farther out. I'll tweak too if I'm really driven, but I'm kind of a purist and want to get pictures of what I discover more than what I would try to force into being -- although Mosfet's image is truly awesome. It's all part of the fun of the simulator. I found this Cassini photograph of Saturn's rings close-up. I thought that they resembled SE's representation of rings. Is this image what rings in SE are based off of? SE 0.980 is really great and fantastic. I've checked out some real and new exoplanet systems and found them to be very accurate. Expect for one possible error...HD 131399 system. Object Finder in SE 0.980 has "HD 131399 A b" planet listed. But when I clicked on it, the message came up that says "Object not found." Is it an omit someone forgot to correct?